Home » Update » Oh My Fod(map)! 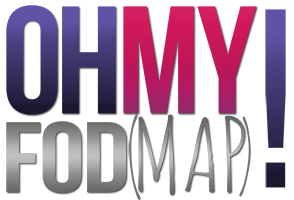 Oh my god, or should I say oh my fod(map)! I am staring at this list from my lovely dietician, and am feeling completely overwhelmed. Thankfully – today is a Thursday, and Lauren (the aforementioned lovely dietician) would prefer I start the elimination diet on a Monday, so I have a few days reprieve. This is going to come in handy, given that I am going camping from tomorrow until Monday for an Australian Day long weekend.